We examine the electromagnetic radiation from a charged particle in a circular orbit around a weakly magnetized Schwarzchild black hole. A charged particle emits radiation as it orbits a Schwarzschild black hole. The presence of an external uniform magnetic field introduces changes to the dynamics of the particle. For circular orbits, the magnetic field permits changes in orbital velocities for the same orbital radius. This change can affect the particle's radiation as it goes around the black hole. We provide the power spectrum of the radiation for different magnetic field strengths. We have calculated that a negatively charged particle with a faster orbit due to a stronger magnetic field has a power spectrum with a distribution in the higher l and m modes. We observed the overall distribution shift to the higher l and m modes. The faster orbit also causes a larger energy loss. J. D. Cantor and M. F. I. Vega. 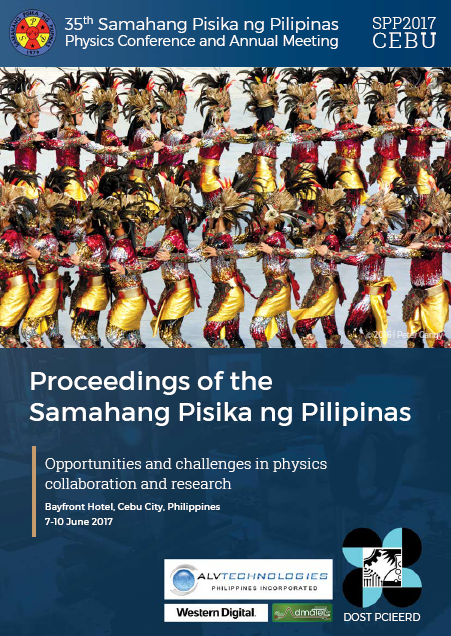 Radiation from a charged particle orbiting a weakly magnetized Schwarzschild black hole, Proceedings of the Samahang Pisika ng Pilipinas 35, SPP-2017-3C-06 (2017). URL: https://paperview.spp-online.org/proceedings/article/view/137.